Younglee is a TOP quality level Chinese manufacturer and supplier of fluid system products, main products including: DIN 3015 series hydraulic pipe clamps (Stauff type tube clamps), Metal pipe clamps/steel pipe clamps, stainless steel hydrauic pipes & instrumentation tubing, industriall valves, DIN 2391 precision steel tubes, hydraulic SAE flanges. Hydraulic pipe clamps according to DIN 3015, widely used in hydraulic systems and for tube installation in various indutrial fields. 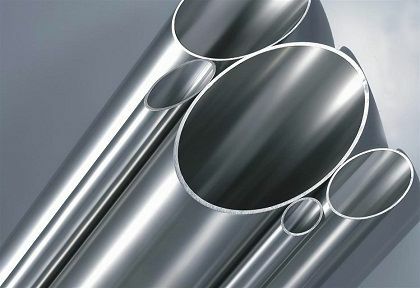 High quality stainless steel seamless tubes according to ANSI/ASME and ISO/EN standard. SAE Flanges according to SAE J518C and ISO 6162, also known as code 61 flanges, code 62 flanges. 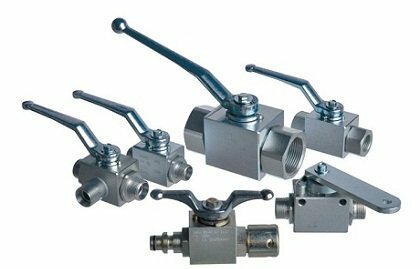 Hydraulic ball valves (DIN Type), Ball valve, Gate Valve, Globe Valve, Check Valve, Needle Valve, ect. 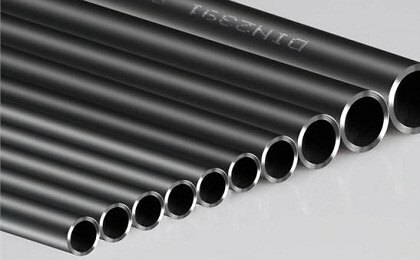 Precision carbon steel seamless tubes according to DIN 2391 /EN 10305-1, DIN 2394 / EN 10305-4. One of the TOP quality supplier of hydraulic tube and tube accessories, main products hydraulic pipe clamps, hydrauic steel tubes, valves. - Others, Gate valves, Needle valves. - Phosphated seamless steel tubes. - DIN 2391 /EN10305 steel tubes. - SMLS precision hydraulic steel tubes. Younglee Metal Products Co., Ltd is the oversea marketing company of Younglee Group. Younglee Group is a high quality manufacturer and supplier of tube system products. Younglee Group invested and manage three factorys, the tube clamp factory, the steel seamless tube factory and the industrial valve factory. Our main products including tube clamps, valves, SAE flanges, seamless stainless steel tubes and precision carbon steel seamless tubes. Stable & Reliable quality and competitive prices are our best weapons Against the competitors. With our lean manufacture and cost control system, our cost is lower than the competitors. With Total Quality Control System, our product quality is in the high level in the market. In time delivery & Flexible order quantity. Our main products including pipe clamps, hose clamps, ball valves, SAE flanges, seamless stainless steel tubes and DIN2391 precision carbon steel tubes. TOP Quality tube clamps / Pipe clamps including light duty pipe clamps, / standard series pipe clamps, heavy duty / heavy series pipe clamps, twin series pipe clamps. Multi pipe clamps in steel and plastic, anti vibration pipe clamps, shockprof pipe clamps. 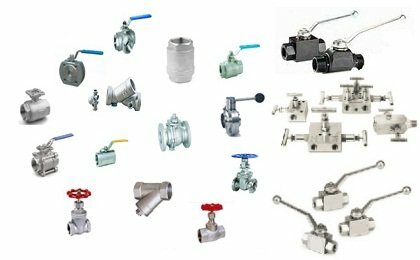 Including hydraulic ball valves and other types of industrial valves such as 1 piece, 2 piece, 3 piece Ball valves, Globe valves, Gate valves, Flanged valves, Needle valves, etc. High pressure ball valves for hydraulic systems, working pressure up to 7200 psi. 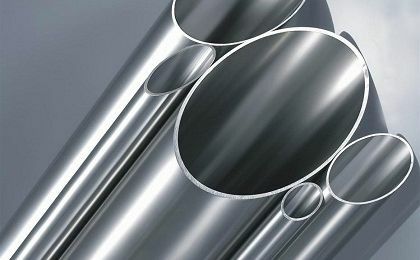 Including Stainless steel hydraulic tubing, instrumentation tubing, High precision and cleanliness seamless BA tubes, seamless coil tubes and super thin seamless stainless tubes. S 31803, S32750, 2205, S32760, 904/904L, 1.4462, 1.4507 duplex stainless steel seamless tubes/ super duplex steel pipes. DIN 2391 / DIN 2394 / EN 10305-1 precsions seamless steel tubes for hydraulic systems, precision NBK / galvaized steel tubes, precision seamless steel phoshphated tubes for hydraulic systems. Add: Chengnan Industrial Park, Economic Develpment Zone, Changxing County, Huzhou City, Zhejiang Province, China. Add: 13/F HNA Plaza, A26# Xiaoyun Road, Chaoyang District, Beijing, China. - Stainless steel cover plates, welding plates, nuts, bolts are avaiable in stainless steel grade 304, 316. Other requirments are available upon request. Metal pipe clamps are pipe clamps made of metal materials, and because mostly the material is carbon steel and stainless steel, so we also call them steel pipe clamps. 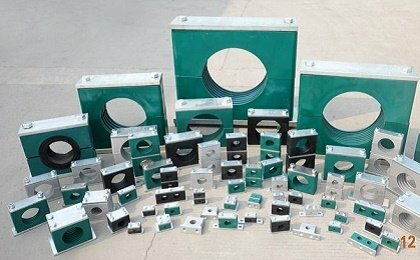 Our product group of steel pipe clamps including: DIN 3567 steel pipe clamps, DIN 3570 U bolt pipe clamps, DIN 1592 /DIN 1593 steel pipe clamps and DIN 1596/DIN 1597 steel pipe clamps. There are many different types of steel pipe clamps. - Classification acc. Materials: Stainless steel pipe clamps, carbon steel pipe clamps. - Classification acc. standard: DIN 3567 pipe clamps, DIN 1592/1593, DIN1596/1597 pipe clamps. - 316L stainless steel seamless tubes for hydraulic systems. Norm: ASTM A213, A312, A269, EN 10216-5, EN 10297-2, etc. or on request. 1.4301/1.4307, 1.4541, 1.4401/1.4404, 1.4571, 1.4462, 1.4507 etc. Wall thickness: 0.5 mm - 20 mm. - DIN 2391 / EN 10305 phosphated seamless steel tubes for hydraulic system. - DIN 2391 / EN 10305 bright annealed seamless steel tubes. - High Pressure seamless steel tubes. - Cold rolled and polished precision seamless steel tubes.